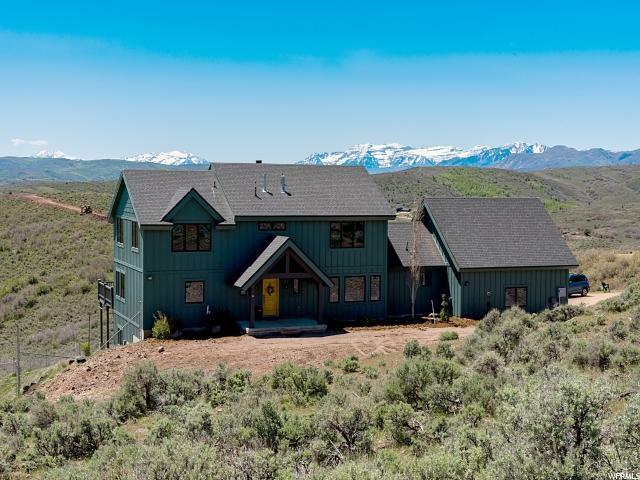 Perfected positioned within one of the most beautiful view corridors in Utah, this beautiful home is as remarkable as its' setting. A thoughtful design artfully unites location, pastoral views and craftmanship in this ideal retreat. 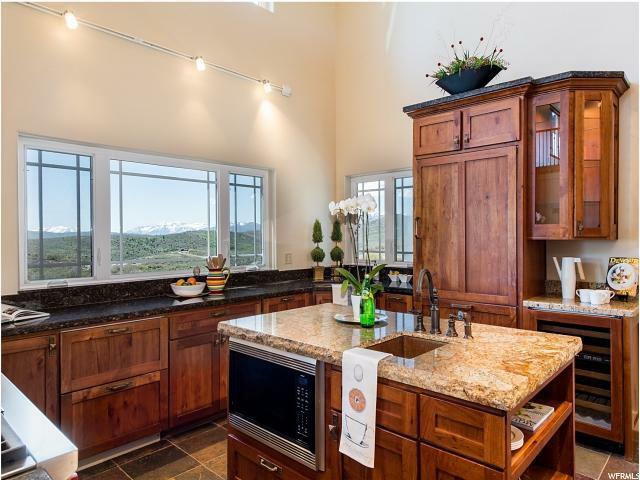 Located just above the small quaint farming and ranching town of Kamas, Utah but within 10 minutes of Park City which offers world class dining, shopping on historic Main Street and world class skiing at the resorts in Park City and Deer Valley. Carefully planned architectural elements have been incorporated to create a functional comfortable living area. Spectacular views are framed within windows in every direction. 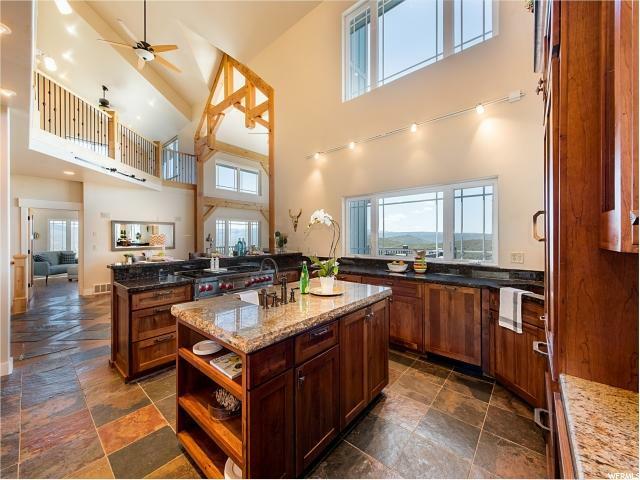 High end finishes throughout complement the casual and rich simplicity of rural living. 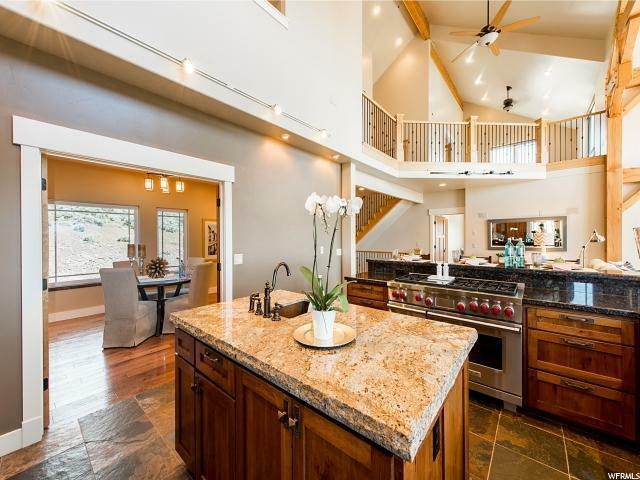 This home is over 4500 square feet, offers 4 bedrooms, 4 baths, Gourmet chefs kitchen with Wolf 6 burner and griddle feature stove, warming drawers, cooling drawers, Sub Zero, prep sink, custom cherry cabinetry, and beautiful slab granite. Main Floor living adds to the convenience with a main floor master suite, walk in pantry, main floor laundry with jetted sink for hand washing, semi-formal dining room and a Great room which opens through French doors onto the captivating views from the deck. Lower level offers additional family room which is wired for theatre, game room, flex room-an ideal space for dark room, brewing, or crafts. There is also a dedicated fitness room. The rolling hills acreage creates a place ideal for livestock, dog training or breeding. With these amenities and acreage, this is truly one of the nicest homes in Summit County at this price. Do not miss your chance for your home on the range.